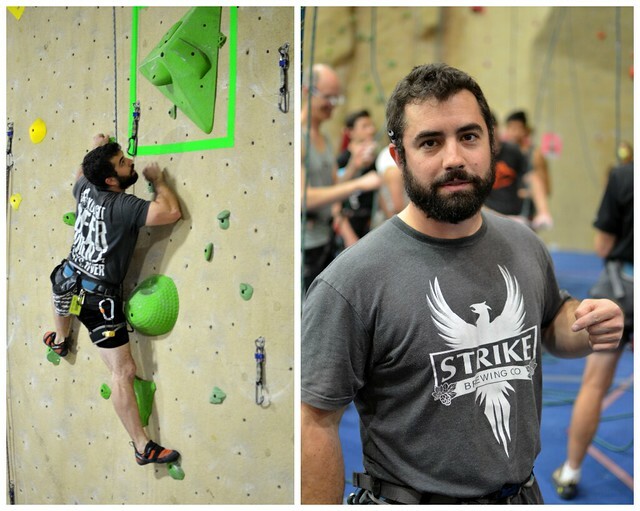 Planet Granite | Friction Series begins @PG Belmont! Friction Series begins @PG Belmont! 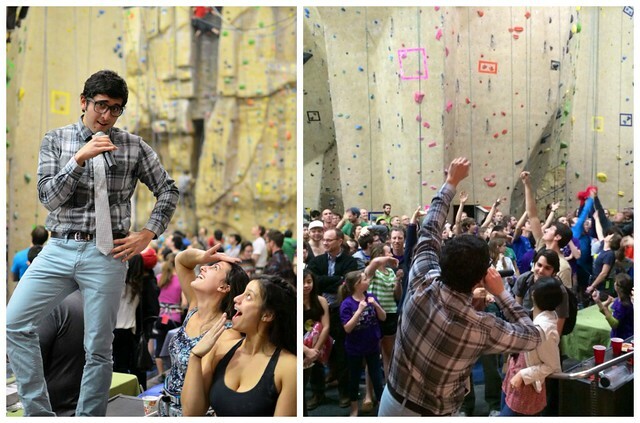 PG Belmont prides itself on having a strong and tight-knit community – it’s always a good time when everyone gets together for a night of climbing, pizza and prizes! There were sick tunes courtesy of DJ Brent and amazing routes created by our incredibly talented and hardworking route setters. Open climb #22 was a particularly proud line that provided a great show throughout the night, especially at the cruxy fourth clip. In the advanced category, climb #18 was another heart-breaker, shutting down many strong climbers after the second box. 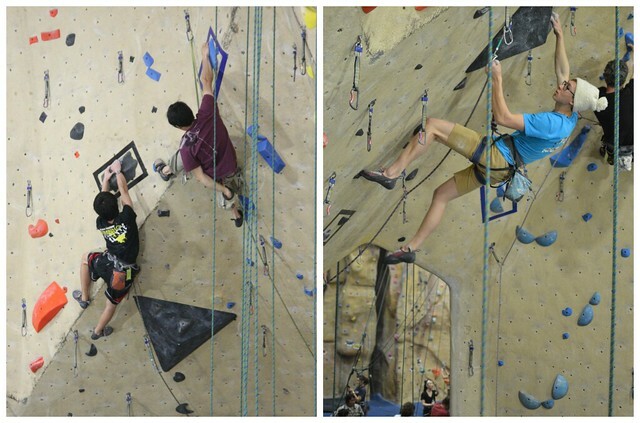 Two of our local climbing team rock stars, Amanda Keyes and Sara Evensen tied for first place in the women’s open category. 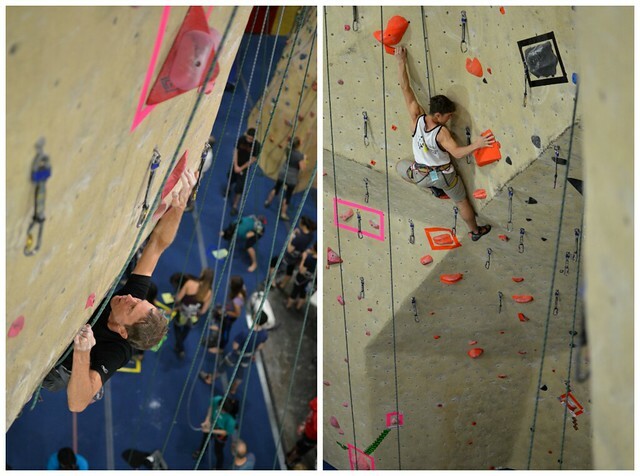 Since Amanda is a PG employee the prize went to Sara, but both of them climbed amazing throughout the night! Andres took time from his busy night as MC to woo some unsuspecting ladies. Local sponsors play a huge role in supporting our competitions! It was awesome to see some of our sponsors out there enjoying the night. Ryan from Strike Brewing took a break from competing to serve up his tasty beer. In a stroke of luck and irony, Jim Hornibrook of the Redwood Trading Post won his own donated prize during the raffle! Overall the evening was a tremendous success! There were smiles, laughs and high-fives to spare. We’ll see you all on March 14th at PG San Francisco for the next stop in the Friction Series!